Sister Mildred (Ildephonse) Boeh, CSJ, 102, died Friday, March 4, 2016, in the 84th year of her religious life as a Sister of St. Joseph. 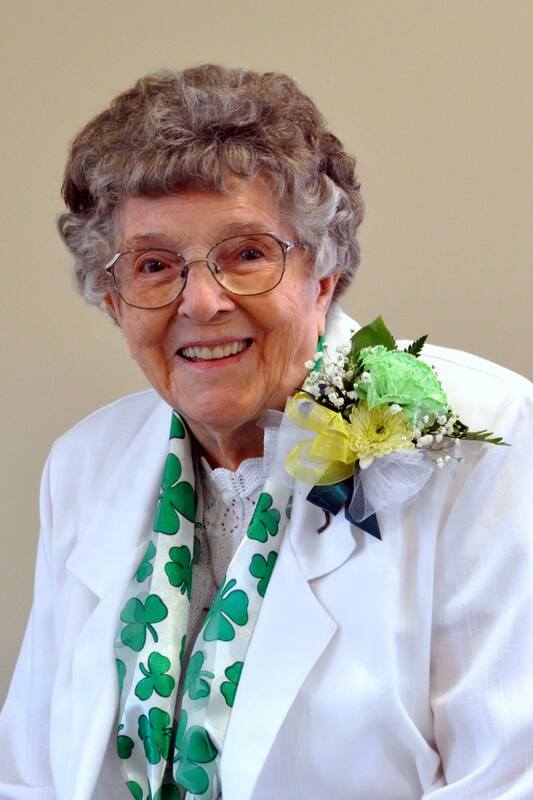 The daughter of the late George and Elizabeth (Convoy) Boeh, Sister Mildred entered the Congregation from St. Andrew Parish in Pittsburgh, PA.
Over nearly six decades, Sister Mildred taught at 14 different schools, including Mt. Gallitzin Academy in Baden (1948-1955), St. Pius X in Reynoldsburg, OH, (1971-1981), Holy Name in Ebensburg (1984-1992), and Nativity, St. Bernard and St. James in the Diocese of Pittsburgh. In 1957, she was sent with five other Sisters to St. Paul of the Cross in Atlanta to open a school in this African American parish where she served as principal and teacher. Sister Mildred, who was the longest living member of the Congregation, often recalled the anticipation of electing John F. Kennedy, the country’s first Catholic president, and the inspiration of Martin Luther King, Jr.’s powerful call for racial equality. She also served as a witness for many African Americans who were trying to apply for birth certificates in order to get a job or to vote. Because of the unbearable heat of the South, Sister Mildred “lobbied” to the Mother Superior for more than two years to allow the Sisters who were “suffering from prickly heat and near collapse” to swap their heavy black habits for white, cooler ones. When the next Mother Superior relented, Sister Mildred used a donation from her generous Aunt Mary to buy enough “high-grade white linen fabric” at J.C. Penney’s to make six habits. During her 80th Jubilee year, she described her greatest joy as “instilling the love of God, love of neighbor and church and all of God’s creation into the hearts of children.” In 1992, Sister Mildred retired to the Motherhouse and volunteered in the Development Office, the Motherhouse kitchen, and Villa St. Joseph. At age 90, she visited shut-ins in St. Raphael Parish in Morningside while residing at St. Raphael Convent for three years. Sister is survived by cousin, nieces & nephews and Sisters of St. Joseph. Friends will be received Sunday, March 6, from 1- 8 p.m. and Monday, March 7, from 11 a.m. – 2:30 p.m. at the Motherhouse of the Sisters of St. Joseph. Prayer Vigil will be Sunday, March 6 at 6 p.m. at the Motherhouse. Mass of Christian Burial will be offered Monday, March 7 at 3 p.m. Burial will follow in the Sisters’ Cemetery on the Motherhouse grounds. Donations in the name of Sister Mildred may be sent to the Sisters of St. Joseph Memorial Fund, St. Joseph Convent, 1020 State St., Baden, PA 15005. Make a donation in memory of Sister Mildred.